This statement deeply resonates me and why I decided that empowering women to break the rules and live life on their terms was my work as a coach. And 2018 is being hailed to be the year women are stepping into their power even more than before. 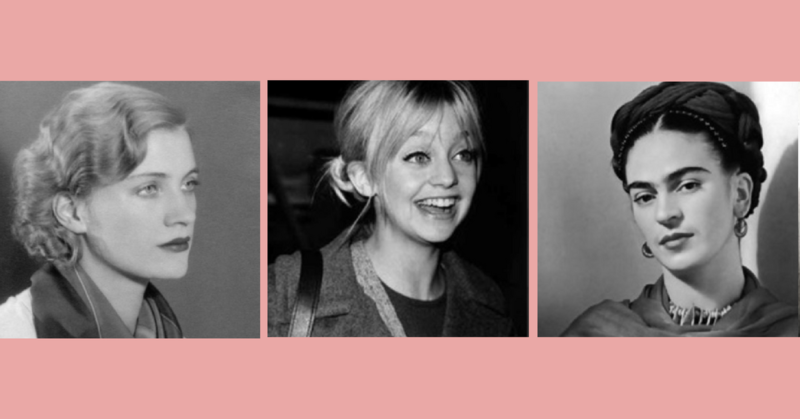 There are so many women who’ve come before us who’ve done just that and here I celebrate three of my favourite women from history who have inspired me over the years to live life by my rules : screw what anyone else thinks! Vogue supermodel turned photographic war correspondent, Lee was a woman who reinvented herself over and over again. She refused to play life by the rules. Always using the shortened version of her name from Elizabeth to “Lee”, ensured as a woman in business in the 1930’s by way of running her own photography studio in New York, many thought she was in fact a man until they arrived to have their photo taken. Lee innovated and to save money during the depression often used herself as the model for fashion shots. Lee was Man Ray’s lover, muse and student but was also a huge part of a lot of what was created by him for which she was not credited for. After suffering a horrendous accident, Frida made her pain the biggest message in her work as a painter which was not her choice of career. She always painted outside of the box, was involved in the political communist revolution and lived an unconventional life in a blue house in Mexico. Her husband and love of her life, Diego Rivera lived next door : they had a connecting hallway and many exotic animals in the house. Unabashedly herself and oozing with charisma, Goldie stands out by simply being herself! Having the longest ‘non-marriage’ in Hollywood, she instead says she chooses to be with Kurt Russell every single day. She’s an advocate of mindfulness for children and a true free spirit at heart. If I could choose someone to play me in the film of my life, it would be Goldie. I love her! Why become a six figure woman in business?